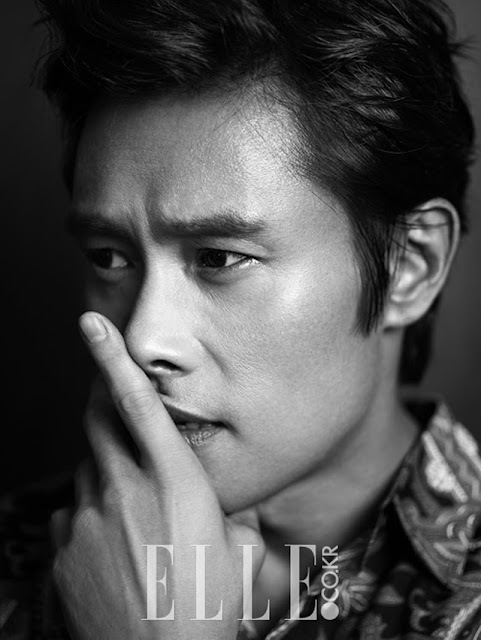 Red 2 co-stars Catherine Zeta-Jones and Lee Byung Hun cozy up in front of Kim Young Jun's lens for the August 2013 issue of Elle Korea. The accompanying pictorial featuring the 43 year old pair against a Beverly Hills backdrop is nice if a tad uninspired in my opinion. Surely there are poses other than face touching and don't get me started on the excessive Photoshopping. CZJ's green Louis Vuitton dress is beautiful though and LBH wears a tux well. He will no doubt suit up again when he weds actress Lee Min Jung next month in Seoul. Lee Byung Hun may be better known for action roles since he played Storm Shadow in the G.I. Joe movies but he's an accomplished actor who has earned much critical acclaim throughout his career. I recently watched Masquerade (Gwanghae: The Man Who Became King) and his dual role performance was stellar in that film. What do you think of this editorial? Have you watched Red 2? These photos are so beautiful. What a lovely couple! Love these outfits too. Very classy. I like the furniture in the interior and the coat she is wearing in one of the photos. I agree that the Photoshopping is a bit much. Are they in a movie together? The editorial is amazing.. and so Catherine's face, she seems she doesn't age EVER! She looks really weird in these photos! Definitely too photoshopped, it's barely her! i didn't know they did this pictorial together. and i just found out over the weekend that he is getting married to lee min jung! They are both gorgeous and I love the outfits. I agree though - something is off and very photoshopped. The shading or something makes her face look a little off. Alas, the downsides of editing I guess! I don't know about him, but they photo shopped the hell out of her. I didn't even recognize Catherine Zeta Jones! WOW! It comes off un-natural. Even the poses seem rigid to me. He is so handsome and I love Catherine. Haven't seen her in awhile. I know she had some mental issues she was dealing with. The dress is gorgeous! I can not understand how we are fed with this fake photography. She is a beautiful woman, why this excessive use of photoshop? Such a shame, we won't even recognize the faces on magazines soon. The dress is beautiful though. They are both 43? Really? Wow they look beyond amazing. Good genes and good maintenance! 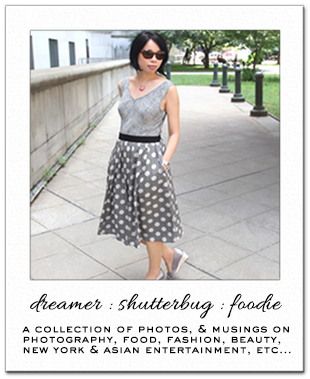 Just followed you back on both Bloglovin and GFC, stay in touch dear! Well they are a gorgeous pair. It's weird though, she seems very disconnected from him, almost like he's not there, or just a prop. Hope you are off to a wonderful week! Gorgeous! Catherine Zeta-Jones looks so fine. Beautiful photos!!! I love Catherine!!! Wow, they both look amazing, Catherine is ageless and that dress is spectacular! Lee is so dapper! I'm with Kim, wow, CZJ looks pretty darn hot, but surely that's just down to PS? She is pretty gorgeous in real life though. Some of these are great couple shots. We're great hun, I just need more sleep! Ha! How are you? Much better now? I'm following you now on bloglovin! They are just too beautiful!! Can't wait to see Red 2!! This is a beautiful cover but I agree with Heel in Mint that Catherine ZJ has been over photoshopped. It's a shame these Magazine Editors and the entire fashion, beauty and entertainment industry can't understand that ageing is natural and beautiful. However, I look forward to seeing Red 2.
p.s. Sorry Rowena, but I didn't get a chance to use the Firmoo certificate. .-(( I just couldn't figure out which one to buy and was pulling my hair out because I was so indecisive. I hope you're well and enoying the NY summer! We're off on a motorcycle roadtrip next week! Super excited about it! Dear Rowena, I agree with you on the poses looking all pretty much the same. I love the colours and the textures of the garments, while there's a fake feeling maybe due to photoshopping. The picture in the convertible is the best. Thank you so much for your kind words on my blog, they mean a lot. Have a great day! he is smart, i like his style.